Okay, this sounds more like the Ministry I knew from high school. They’re much heavier here than they were on With Sympathy. “My Possession” has that metal-on-metal clashing sound that so defined the genre, and “Over The Shoulder” has a grinding like some giant saw. The beats are heavier, too, though not quite to a metal level yet. Despite getting closer to their most successful incarnation, they’re really still figuring stuff out here. So much so that it’s a step backward while they regroup on a new sound. The lyrics are cringe-y bad (“We use them awhile then it’s over the shoulder,” for the eponymous anti-consumerism song), the sounds still evoke mid-80’s synths (which, given that this is from 1986, makes complete sense), and the songs are too long and self-indulgent. I’ve got most tracks as open hearts because they’re tolerable, but that might be me being generous. I’m not sure I would have rated them even that high if I didn’t know where this was going. We Believe – Kinda dig this one. All Day Remix – This one is darker tinged than what’s led into it. It’s got some spoken word samples kind of similar to the Cool Hand Luke samples from Guns N’ Roses’ “Civil War” It also is the one with the military boot camp intro part. Six minutes and it’s awfully long/repetitive at end; those cool samples can’t save it. Over The Shoulder – the single because of course. I mean, this isn’t quite industrial/metal, but it’s much weirder than their previous stuff. Like closer to an Otto Von Schirach or something. Vocals are dumb. Definitely hitting the crashing metal stuff here. Weirdly about consumerism (terrible lyrics “We use them a while then it’s over the shoulder”) but also some vague lyrics about (“please understand us we’re trying to help mankind”) which is maybe supposed to be the heads of the corporations. My Possession – Brief snippets of a nifty bass line. Surprised I have this as high as open. Where You At Now? / Crash & Burn / Twitch (Version II) – I like the part that’s going at 8:52. The whole track is 12:15. The bit at 4:15 is cool, with some echo-y vocals and like some Irish Jig-gy… flutes? Lots of stuff that they would do later where they set up some vocal samples as almost arguing or something. I have no idea what they’re yelling. “Come on, get out here” and then “Icefinger?” Kinda surprised I have this as open, because it is so long. Must be because it has some good parts buried in there because most of the “Where You At Now?” part is repetitive garbage. Over The Shoulder (12″ Version) – cd bonus track. pretty sure this is worse than the 7″ version. Starts off terribly. Isle Of Man (Version II) – cd bonus track. Environmental lyrics. 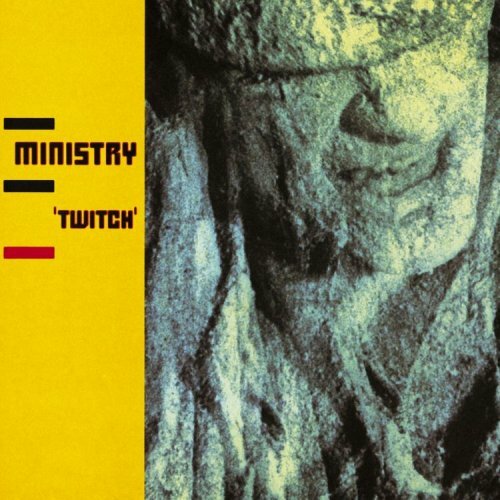 This entry was posted in album reviews, music, Xbox Music Reviews and tagged 1986, 2 clowns, album reviews, Ministry, music, Xbox Music reviews by fatclown. Bookmark the permalink.